Stephen Sumner, managing director at independent financial adviser Explore Wealth Management. 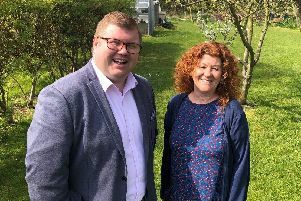 An independent financial adviser in Northumberland has linked-up with a top London-based business consultancy to help strengthen its services to clients. Cramlington-based Explore Wealth Management is working alongside FP Advance through a mentorship programme, led by nationally-acclaimed financial services business coach Brett Davidson. Designed specifically for growing financial services firms, the 36-month programme aims to help these businesses maximise their business potential and become more commercially viable, while maintaining their client-focus. As part of its growth, Explore Wealth Management is looking to become a specialist, market-leading provider of advice for those approaching retirement. Managing director Stephen Sumner said: “Making changes to how we advise our clients and concentrating on providing specialist services to the over 55s market has led to substantial growth within our company in recent years. “These decisions have been taken with the well-being of our clients and the longevity of the business in mind.